For the past half century, there have been two ways to build an apartment building in New York: an architect’s way or a developer’s way. In reviewing the genuinely creative, fascinating projects put forth in "Small Scale," we wondered aloud if the criteria and measures of success used by the authors was too steeped in the architect’s way, leaving us with lingering questions on the projects’ process and true impact, particularly with our respective backgrounds in urban politics/development and technology/ethnography. One may argue that the architect’s way lives too much in the world of Utopian ideas (while the developer’s way is largely pragmatic, functional, at the risk of being overly utilitarian). Min Li Chan: The book is definitely an interesting compendium of "intervention" projects. You brought up some important questions in your initial assessment — namely "better city living for whom?" I also had questions around the scale/impact of these interventions on a macro scale — I’d like to challenge the authors' assumptions that these projects have had a macro impact, as they postulated in the Introduction. So, where should we start? Melissa Garcia Lamarca: Starting with your second point is a good way to begin. I think the philosophy put forward on creatively viewing existing elements of landscape or open space as assets (rather than liabilities) is great. Small scale interventions are definitely wise and appropriate in terms of cost, time, and resource use. But yes, can or do micro interventions have a macro impact? The book’s Introduction needs a more complex and complete analysis of the issue; as it stands now it is presented as an assumption. MLC: And in fact, the analogy that the authors use in the Intro is already quite telling, perhaps without them realizing it. They've likened these projects to microloans in developing countries. Microloans are, in fact, not systemic solutions to poverty, nor did they intend to be: they empower individual entrepreneurs, which makes them a valuable tool — but poverty eradication takes something on the order of changes in policy, government programs, and the help of the private sector. MLC: But of course, these interventions make life for people in that immediate community better — I would have liked to see metrics of how changes in environment/space have affected life there. But this might not have been in the scope of the book, as data can be hard to come by. 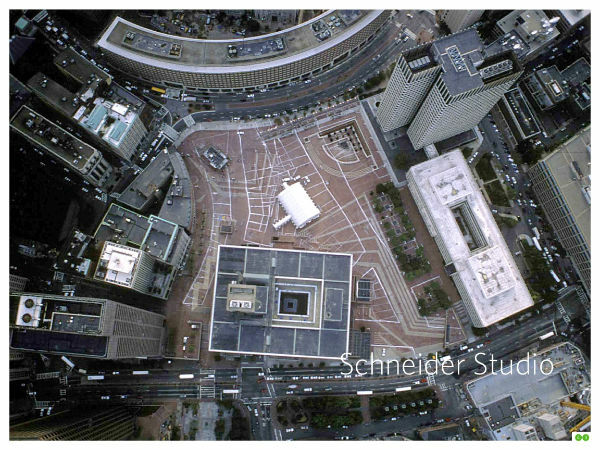 Perhaps the future designer/architect needs to also be an urban analyst: looking for evidence that this has improved quality of life or made a difference. Melissa: Agreed. The traditional architectural or design training, in my opinion, must evolve with the times, as we live in a world, and in cities, characterized by ever greater diversity and inequity. I would have liked to see more on process, both in terms of how the authors chose the projects — what principles or criteria did they use? This is not clear, nor is the process used to engage or work with communities. 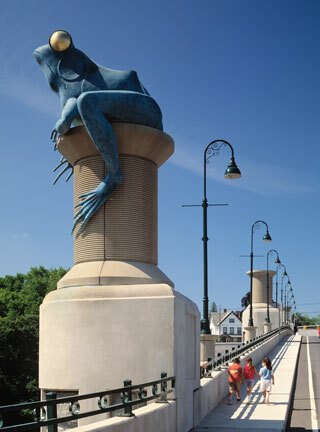 I only saw this mentioned in one project: “Thread City Crossing in Windham Connecticut.” I think this point that you make, around improving quality of life for residents of the area where the intervention occurs, is one principle that we can think about in terms of a criteria for selecting projects for better city living. It starts to speak to the fundamental question: better city living for whom? Melissa: Yes, definitely. The day laborer station stood out for me and I think it is an interesting concept. But in reality, reflecting on my experience interacting with illegal farm workers in California, for example, I question the amount of time day laborers would actually have to participate in planning, building and maintaining a station in their given locale. Most start work before sunrise, sometimes at 4 am, and understandably finish exhausted in the evenings. Also, I found the language used in the project description, referring to day laborers as “clients,” a little unsettling. MLC: That's really interesting, could you explain why you found that unsettling? Melissa: The project is aiming to integrate day laborers into the community — which I assume refers to a place-based community — and giving them a more dignified presence in the public realm, which I think are noteworthy and sound objectives. Referring to day laborers as “clients,” however, in my opinion, highlights a consumer, or rather transaction-based, relationship. This is a deep contradiction if the goal is empowerment and transformation. Transforming relationships means transforming the way we think about the “other.” The term “client,” for me, maintains barriers rooted in capitalist thinking, and also keeps an ‘us vs. them’ approach. Perhaps it’s just semantic, but for me the deeper roots are important. 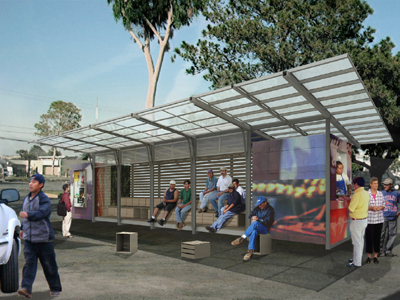 I wonder if the architects/designers from Prototype Design who proposed the Day Laborer Station collaborated with day laborers to shape their ideas? This sort of information on the process is critical to include in the book — in order to move toward better city living for day laborers who are marginalized in so many places, we need to understand needs from their perspective. MLC: Yes, it sounds like the two key pieces that we would have both liked to see in the book to make it more instructive for other designers/architects are: 1) process (not just the outcome/result), and 2) some exploration of metrics/data on whether they impacted community life in a substantial way. And as the new generation of design thinkers who espouse need-finding would point out, needs endure far longer than solutions. If any of these solutions actually work and should be replicated, then the book is missing both an explanation of process and metrics to empower future designers to learn from these examples. 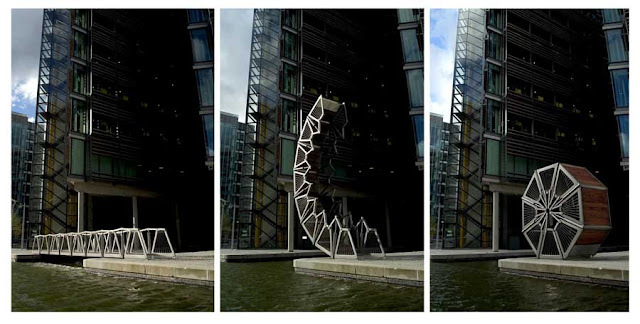 Another example that I thought was interesting is Heatherwick Studio's “rolling bridge”: the questions that lingered were things like: Is this the most efficient/optimized design? Why is it conceived as a roll-up bridge? What's the speed of the roll-up mechanism and is it better than any other solution for that need? Melissa: This point connects to another I wanted to make, about the book's structure. I think the division into the three sections — Service, Insight and Delight — is an interesting proposal, but needs some deeper grounding. For example, I think the principles we identified regarding process and metrics (i.e. who is engaged in the design process and has quality of life improved thanks to the intervention) are especially important for the service section. I would add two other principles that I think are critical when considering interventions that provide a service to the community: 1) prioritizing marginalized areas of cities, and 2) highlighting the social, economic and environmental sustainability of the interventions. The last one is an umbrella and would need further specification, taking into account impacts, engagement and the population addressed, but important nonetheless in my mind. So the rolling bridge example could be in the “Delight” section, as a creative and innovative idea (and I agree with the questions you raised on it — is it better than another solution for that need? ), but I don't think it necessarily belongs in the “Service” section. MLC: I see what you mean. The categorization in this book seems more driven by intent than outcome. It seems more driven by the architect outlining, “I intend for this to be a service project, or to communicate insight, or to be pure delight,” rather than evaluating by its impact to see if they truly fit into that category. The "Service" category particularly suffers in this respect. Even if the end-use cases are perversions of original intention, it would have been equally interesting to examine why the projects end up meeting or violating their intended objectives. Melissa: Most definitely. But this is difficult to do if the criteria for selection is totally absent. MLC: At the end of the day, without trying to sound too harsh, the book's title can be somewhat misleading. "Creative Solutions for Better City Living" implies something like a series of exemplars to be taken to heart. But the end result seems more like an architecture coffee-table book showcasing cool ideas without much rigor. 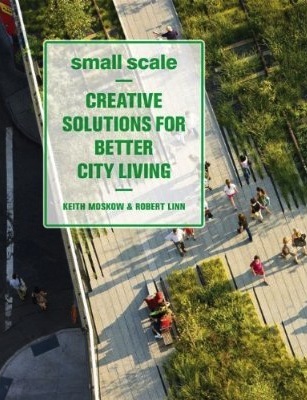 Melissa: I think the book would be much stronger if the title were "Small Scale: Creative Solutions for Better City Living for All City Residents,” so as to emphasize everyone living in the city regardless of nationality and formal citizenship rights. Without this clarification we are left to imagine people living in the city as homogeneous, with the same needs. What about class, race, gender, and marginalization? As we mentioned previously, there are different needs and aspirations depending on these and other factors. MLC: Yes, that's quite true. The city is a much more complicated amalgamation of those factors and needs. I don't recall seeing many examples of solutions for parts of cities under threat from harsh conditions. Or perhaps it's because the chapters don't spend a lot of time delineating who lives in those neighborhoods; more of a sense of the ethnography on the ground. Melissa: I think it could be a combination of both points. In general, marginalized parts of cities are not often chosen as places for innovative design projects. I am thinking specifically of New York City, where Manhattan has benefited enormously from street design improvements, but what about the Bronx, parts of Brooklyn, and Staten Island? Investment tends to privilege Manhattan. 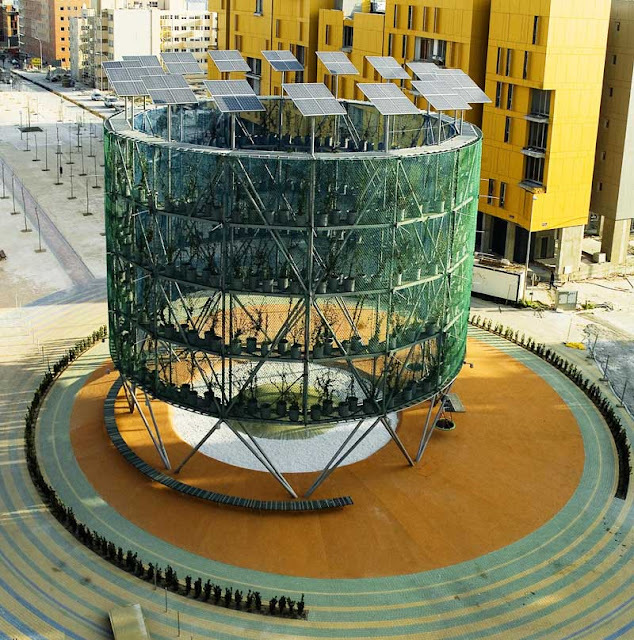 There is perhaps one exception in this book: the Ecosistema Urbano project, which is in a low-income area. However, at least from the description of the project, the intervention did not appear to closely engage local residents. MLC: We’ve covered a lot of ground here in our conversation. Hopefully these can be provocative considerations if there were a subsequent — perhaps substantially longer — edition of the book. I would have liked to see more consideration of who the specific city dwellers are and their needs, more about the process that was used to arrive at the solution, and do an assessment, in earnest, of the metrics of success for each project and whether each ended up meeting or missing their intended objectives. But overall, I’m glad that this book brings together a collection of truly innovative ideas and architectural executions that can be seeds for further conversations and explorations. Credits: Images from amazon.com, publicarchitecture.wordpress.com, urbanlabglobalcities.blogspot.com, e-architect.co.uk, and centerbrook.com.